Are you searching for an accessible and Flexible French content management system to manage your web applications, online assets and websites? ExtraCMS is a leading solution for controlling, editing and posting content regardless of the type of site you have. ExtraCMS offers a great range of functionality and flexibility, giving you a high level of control over your content. So what is the ExtraCMS? 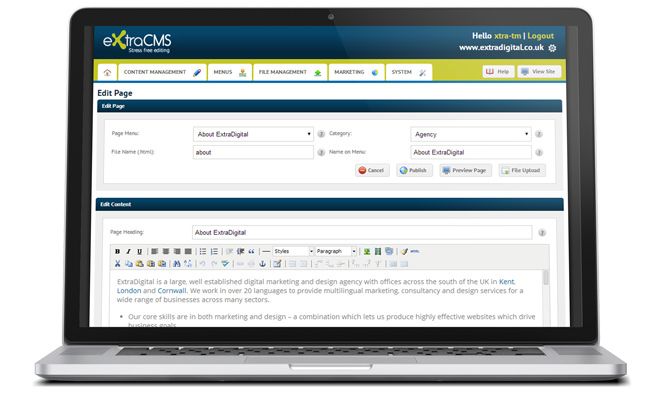 The ExtraCMS is the web content management solution that allows you to do Extra. You can trial the ExtraCMS in two editions, the Classic and Enterprise. Regardless of which version you choose, ExtraCMS is the first ever developed which optimise your website for search engines as you write it, whatever your language. The Basic or Classic Version includes all the features that you would expect from a great CMS to run a simple website. The Enterprise version is a fully fledge enterprise CMS with a wide range of functionality to manage large, complex web solutions in a rich, interactive way. The version of the ExtraCMS that you choose matters not - each version is built with our clients’ needs in mind. 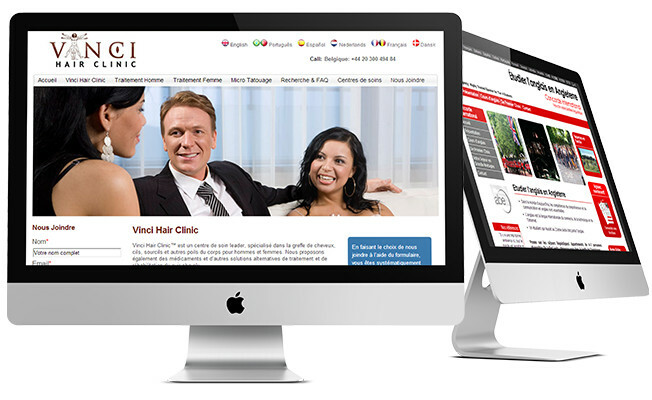 We have many French websites using ExtraCMS, from language schools to business websites. What makes the ExtraCMS the preferred choice for French organisations? Accessibility and Performance - We make sure that your website is fit to be on the web by following all compliance rules, standards and guidelines. Built for optimum speed and usability in mind - our clients are able to see great page load improvements! Optimisation from the bottom up - We don’t just rely on good design to get our websites visible - . The CMS takes into account all that search engines look for in a great web page to help your site to automatically rank better - from customisable meta tags to image optimisation. Multilingual - As your business expands it will be necessary to tap into international markets. The ExtraCMS is built with this expansion in mind and makes light work of handling multilingual websites and non-standard character sets to help your business to reach your target audience wherever they may be. To find out if the ExtraCMS is for you, get in contact and speak to our experts in French content management on 01227 68 68 98 or fill out a quick contact form and we will call you right back.